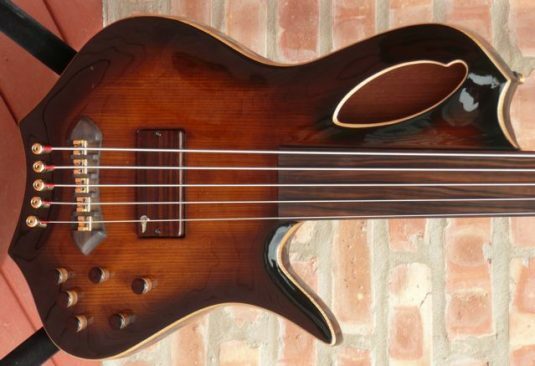 If you know me, you probably know of my particular interest in acoustic/electric basses, especially fretless basses of that ilk. 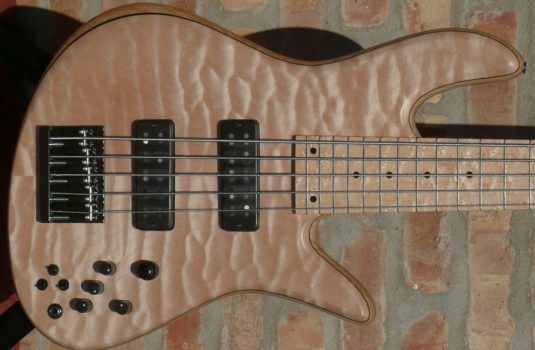 This bass has me worked up. Where do I start? Well, the single magnetic pickup is perfectly located for my poor Jaco imitation – the tone is there, now I need to find some chops and musical ideas. 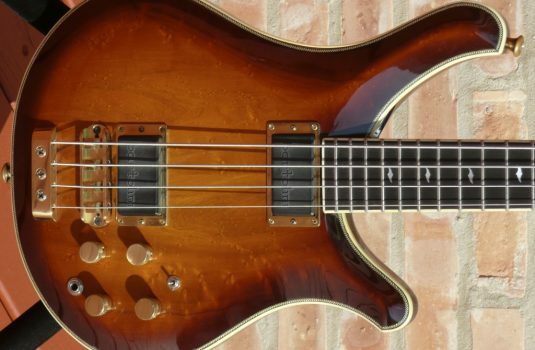 The piezo bridge pickup (Schertler Bluestick) gives a great wooly and woody tone. Of course, the two pickups can be combined to find the flavor you seek. 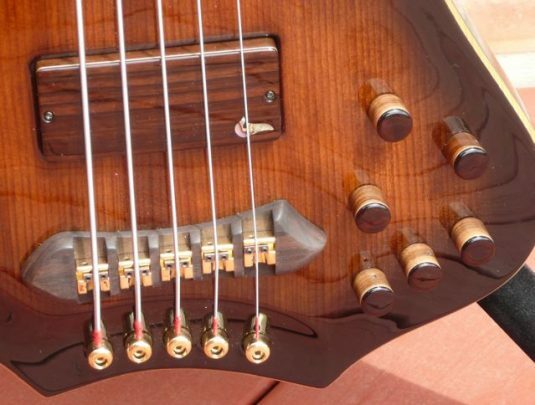 The bass can go active or passive, and has a separate passive tone control. The other controls are volume, blend and 3 band EQ. 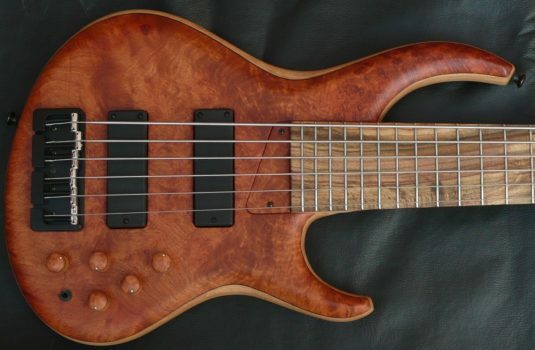 The preamp is also Aries’ own design. 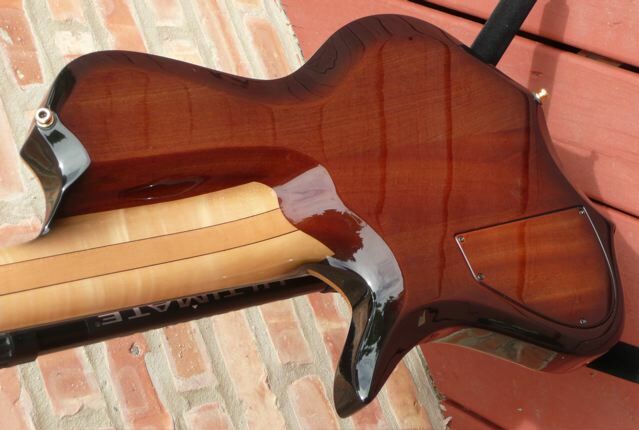 The body is Honduras Mahogany in a high gloss antique violin finish. In the tradition of fine acoustic instruments, the top is Spruce – a great choice, in my opinion. 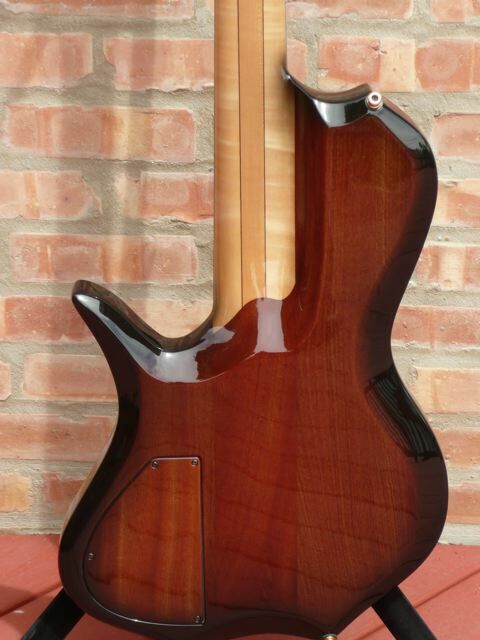 The 35″ scale neck is 5 piece, primarily Maple, with a Macassar. 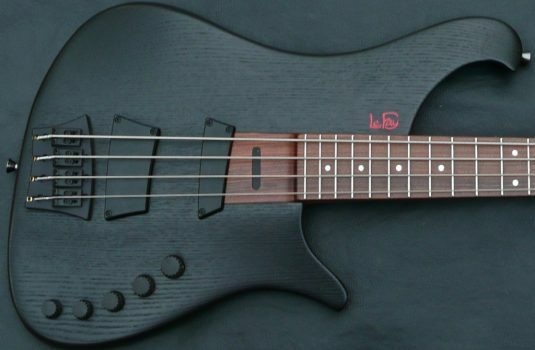 Ebony fretboard. 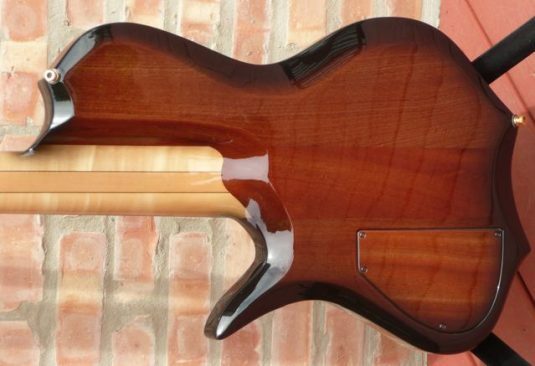 The bridge is also Macassar Ebony. 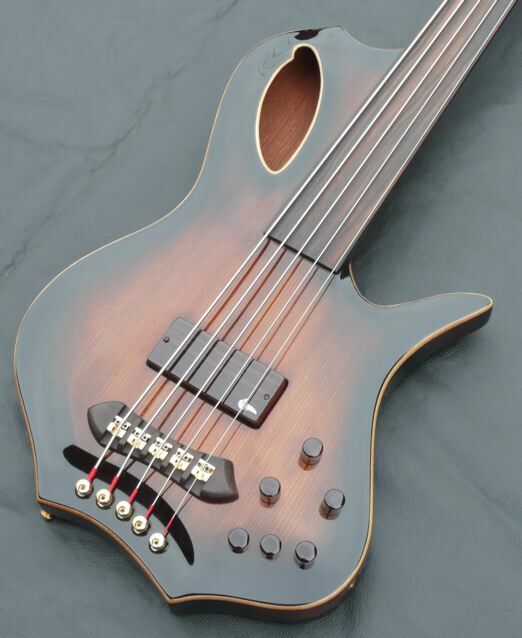 Note the Maple binding – pure class.